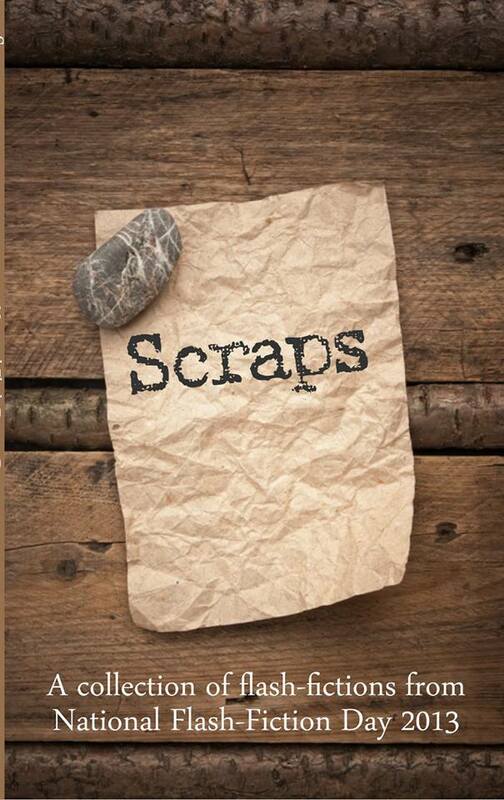 Following on the success of last year’s National Flash Fiction Day anthology Jawbreakers, the 2013 celebration of the short short story sees the release of Scraps, an anthology of flash fiction inspired by other creative works. The book includes commissioned pieces from well-known writers including Tania Hershman, Jonathan Pinnock, Sarah Hilary and Vanessa Gebbie, pieces from experienced writers and writers for whom this is their first publication, and the winning entries from the NFFD Micro-Fictions competition. I am pleased to be amongst the many great authors in this year’s collection. This year the editors were looking for stories that took their place in the larger web of art, pieces inspired by another work – a book, story, poem, painting, photograph, piece of music, or anything else artistic. It could be a direct relationship, or a loose one, an homage or a tangential glance which sparked the muse. My story, Her 12 Faces, was inspired by the title of a Lanu album and written while listening to the music of the ever brilliant Lowercase Noises. You can see the full rosta of authors and order a print copy of the collection on the NFFD2013 website, while the ebook is available from both Amazon UK and Amazon US (and all the other Amazons). You can catch up with all the events and news via the website. Whatever you are up to tomorrow, have a great National Flash Fiction Day 2013.